Kenya vacation rentals are popular because of the increased size and amenities for just a fraction of the cost of a hotel. 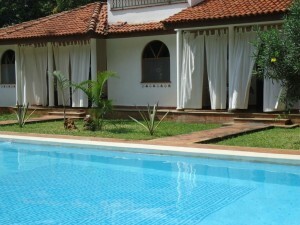 They include apartments, resorts, cottages and villas and are found in major tourist destinations across the country. Scroll down to search Kenya vacation rentals for the best price and availability. It is a fully serviced and lavishly furnished resort located in the up market and leafy suburb of Nairobi’s, Westlands Area. Wasini Luxury Homes is in close proximity to the main highway, shopping malls, restaurants and the UN as well as other International Organizations. Wasini offers 32 x 2 bedroom units, 6 x 1 bedroom units and 2 x 2 bedrooms Penthouses. It is ideally situated in the tranquil gardens of the State House Valley, excellent for those who wish to be centrally located but away from the bustle of the city. Palacina has 11 fully serviced 1, 2 and 3 bedroom apartments. The Suites consist of 14 beautifully appointed luxury suites, including 2 penthouses. It is located 20 km from Mombasa town on the pristine Tiwi Beach. There are 36 furnished and serviced cottages, ranging from 1 bedroomed to 4 bedroomed units either facing the Indian Ocean or the beautiful manicured gardens. It is situated 25km from Moi International Airport on a tropical garden connected to the beach through a 300 meters pathway. The Villa consists of 2 bedrooms, with big windows on both sides of the house to give guests a relaxing view over the garden. It is a self-catering accommodation in the residential area of ‘Malindi North’, located 3 km from Malindi town center. 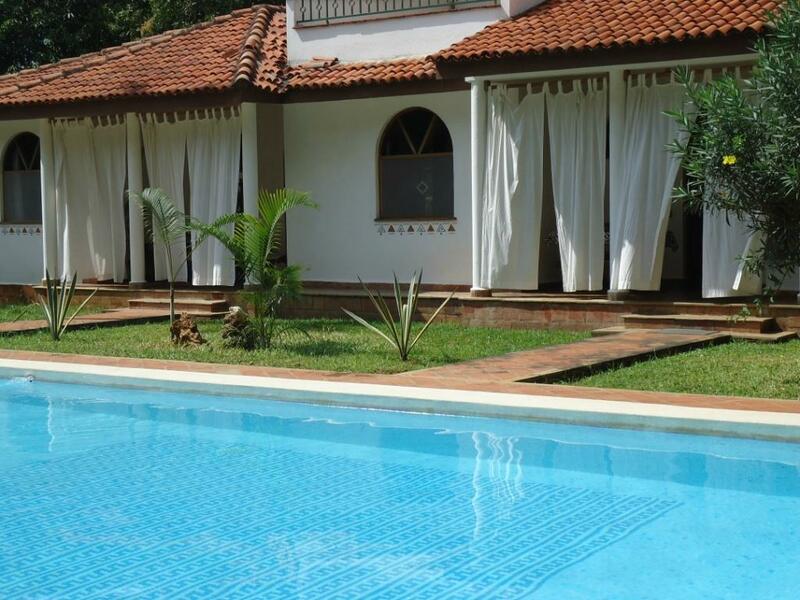 Kingfisher Villa is set in 6 acres of tranquil tropical gardens overlooking a swimming pool. It has 4 individual cottages – 1 double and 3 twins. Mwembe is an RCI affiliated Resort with the title of “Gold Crown”. The Resort is situated only 7 km from Malindi airport and 1km from Malindi town center. It nestles in the tranquility of tropical gardens comprising of 26 self-catering suites (max accommodation capacity – 128 pax). It is situated on one of the world’s best beaches, Watamu and offers magnificent views of the sea. Island View House has 5 double bedrooms and a free-form swimming pool. It can accommodate a maximum of 10 people. It is set on Mida Creek in the famous Watamu beach area. Heather’s Garden is a 5-bedroom house set over 3 floors with a large swimming pool overlooking the mangrove forest and Mida Creek. The top floor offers stunning sunset views across the creek. The house has 4 double bedrooms and 1 children’s room. Use the search below to search Kenya vacation rentals for the best prices and availability. You’ll be able to refine your search, read reviews and easily book online. Enter the destination’s name on the field that says “Where?”.